Are you looking for high quality stove repairs in Devon? For this and an extensive range of other services, make your first call to the professional and reliable team in place at Soot and Sweep. 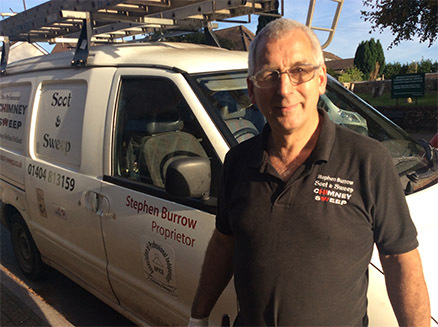 Soot and Sweep, Chimney Sweeps of Ottery St Mary, Devon have had many years experience with sweeping a wide variety of chimney types and have the expertise to make sure that you can enjoy your fireplace in safety. We are a highly experienced team, fully qualified team providing solutions to all your chimney sweep and stove repair problems. Call today for more details. We get the job done quickly and cleanly with No Mess, No Fuss and No Dust. Call today on 01404 813159.